Unfortunately this is hindi dub but its close. If you guys find english link post it here. biggest catagorized collection of high quality downloadable documentaries. many interesting views of Jesse and what Castro told him about JFK murder, Bush and WOT, US politicians and termination of public freedom. Here are two best series to learn science for your kids. Read sobank post#36 for quick downloading information. I cant find a better gift for this thread. links get truncated in single post, thats why I am posting them in a different post. 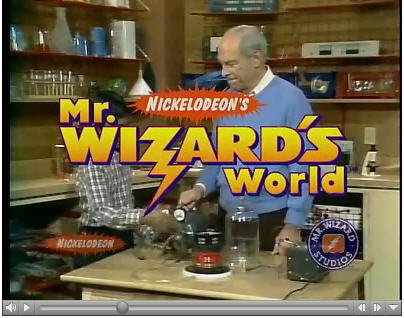 Mr. Wizard, all 32 episodes. my favourite tool for rapidshare downloads is flashget. if you have a rapidshare account, this tool needs a single click to download hunderds of files at a time. Edited by sobank, 29 May 2010 - 01:15 AM. The Best Possible Way to Understand the Global Financial Crisis For Dummies With Added Humor so you Don't Get Bored. USSR era nuclear testing using Kazakhs as human test subjects in the Nuclear Polygon, and it's ongoing legacy. The War Game is an Academy Award-winning documentary on nuclear warfare that was made by Peter Watkins in 1965 and was subsequently suppressed by the BBC until 1985. It remains largely unknown despite its historical importance, its high quality, and the looming gravity of its subject. SHOWCASED FOR THE PURPOSE OF RESEARCH AND EDUCATION. Zheng He, the Chinese Muslim Admiral of the Treasure Fleet. Follow the related links for further videos. Thanks for putting it in the right thread. Only if there was a better quality video for this to read the subtitles. Sorry if this has been posted already (please remove it if so). Also it is not really a full length documentary but i found it to be interesting enough. Hope others will agree..
Edited by sobank, 06 September 2010 - 08:57 PM. I usually don't like lectures but this one was definitely very interesting from start to end. Some great graphic slides during the talk (i would recommend you pause and pay more attention to them). 7-How Large Is the Universe? sheds light on the role of commandos in WW2. Join British historian Bettany Hughes as she examines a long-buried chapter of European history–the rise and fall of Islamic culture in what is now Spain and Portugal. Then, there was only a long, deathly silence. Pompeii lay buried for nearly 1,700 years. It wasn't until 1748 that archaeologists began slowly uncovering the ancient city, preserved under 9 feet of volcanic ash and frozen in time by Pliny the Younger's vivid report. About three-fifths of the city has been liberated from the solidified volcanic ash and pumice that engulfed it. But many questions remained unanswered for a long time. What was life like under the volcano? What exactly did happen that summer day in A.D. 79? Here we take a look into the latest findings. Marcus meets some remarkable individuals - Tommy, an obsessive artist who uses his whole house as his canvas; Derek: blind, autistic, and a pianist with apparently prodigious gifts; Claire who is also blind, but whose brain has learnt to see using sound. Marcus is shown how babies have remarkable abilities which most of us lose as teenagers. He meets a neuroscientist who claims he has evidence of innate ability, a scientist who's identified a gene for learning, and Dr. Paulus, who has discovered how to sharpen the brain... by electrically turbo-charging it. Horizon explores the strange and wonderful world of illusions - and reveals the tricks they play on our senses and why they fool us. We show how easy it is to trick your sense of taste by changing the colours of food and drink, explain how what you see can change what you hear, and see just how unreliable our sense of colour can be. But all this trickery has a serious purpose. It's helping scientists to create a new understanding of how our senses work - not as individual senses, but connected together. It holds the intriguing possibility that one sense could be mapped into another. This is what happened to Daniel Kish, who lost his sight as a child. He is now able to create a vision of the world by clicking his tongue which allows him to echolocate like a bat. And in a series of MRI scans, scientists are now looking to find out if Daniel's brain may have actually rewired itself enabling him to use sound to create a visual image of the world. By now everyone has seen crisscrossing streaks of white clouds trailing behind jet aircraft, stretching from horizon to horizon, eventually turning the sky into a murky haze. Our innate intelligence tells us these are not mere vapor trails from jet engines, but no one yet has probed the questions: who is doing this and why. With the release of this video, all of that has changed. Here is the story of a rapidly developing industry called geo-engineering, driven by scientists, corporations, and governments intent on changing global climate, controlling the weather, and altering the chemical composition of soil and water — all supposedly for the betterment of mankind. Although officials insist that these programs are only in the discussion phase, evidence is abundant that they have been underway since about 1990 — and the effect has been devastating to crops, wildlife, and human health. We are being sprayed with toxic substances without our consent and, to add insult to injury, they are lying to us about it. Based on the best selling book, Angels Don't Play This HAARP, narrator Dr. Nick Begich presents a compelling discussion of one of the important military advances of the United States Government. The technology is designed to manipulate the environment in a number of ways that can jam all global communications, disrupt weather systems, interfere with migration patterns, disrupt human mental processes, negatively affect your health and disrupt the upper atmosphere. The U. S. military calls this new zapper the High-frequency Active Auroral Research Program or HAARP. The rest of the story is revealed in the patents, technical papers and other documents that continue to emerge regarding this project. Begich has presented on the subject as an expert witness for the European Parliament, Committee on Foreign Affairs, Security and Defense Policy Subcommittee on Security and Disarmament, GLOBE and others. The Earths magnetic field, the protector of all life on Earth is under constant attack from deadly cosmic radiation. This invisible shield that we live in is weakening in a region over the South Atlantic, leaving it exposed to potentially lethal radiation. Is the Earth losing its magnetic field and doomed to a fate similar to Mars? Many scientists believe the answer lies in paleomagnetic data, and that this weakening may be a precursor to a magnetic field reversal; scientists know Earth is long overdue. However, humans were not around when the last reversal took place, so what does this mean for life? Edited by Magnus, 12 December 2010 - 02:41 PM. Earth 2100 is a television program that was presented by the American Broadcasting Company (ABC) network on June 2, 2009 and was aired on the History channel in January 2010 and will continue to be shown through 2010. Hosted by ABC journalist Bob Woodruff, the two-hour special explored what a worst-case future might look like if humans do not take action on current or impending problems that could threaten civilization. The problems addressed in the program include climate change, overpopulation, and misuse of energy resources. The Earth 2100 premiere garnered an audience of nearly 3.7 million viewers, according to Nielsen Media Research. How did the universe come into being? Why are we here? And where are we headed? Stephen Hawking--one of the world’s most famous physicists and author of the international bestseller A Brief History of Time--wants to answer those questions. Trying to unify Einstein’s theory of relativity and quantum mechanics, he seeks a single explanation for the entire universe. But he’s racing against time, trapped in a relentlessly deteriorating body ravaged by Lou Gehrig’s disease. 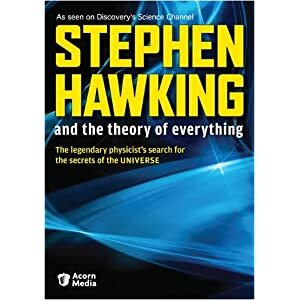 Join Hawking and other renowned thinkers as they explore the revolutionary new ideas that have evolved since the publication of his blockbuster book. Besides interviews, this stimulating documentary uses computer graphics and simple, easy-to-understand demonstrations to explain complex concepts. Topics include black holes, string theory, supersymmetry, dimensions beyond our perception, and the mysterious M force--all potential keys to unlocking the elusive "theory of everything" that seems so tantalizingly close. Features interviews with Stephen Hawking, John Schwarz (California Institute of Technology), Lisa Randall (Harvard), Michio Kaku (City University of New York), and more. The notion of bringing Mars to life - transforming a cold, dry, uninhabitable desert into a living planet - is called terraforming, has been around for almost a century. Initially just a science fiction concept, it has become a subject of serious scientific investigation. Recent discoveries of rocks and minerals found by the Mars rovers show it must once have had warmer, habitable living conditions. Now, using photorealistic CGI visualizations, we'll make a science fiction dream of Mars - a world of trees, rivers and blue skies - a plausible future, bringing it to life after three and a half billion years in a deep freeze. Saw "Restrepo" on NGC the other day; link: http://movies.nation...movies/restrepo. Just awesome and shows how much resistance the american soldiers are facing. RESTREPO is a feature-length documentary that chronicles the deployment of a platoon of U.S. soldiers in Afghanistan's Korengal Valley. The movie focuses on a remote 15-man outpost, "Restrepo," named after a platoon medic who was killed in action. It was considered one of the most dangerous postings in the U.S. military. This is an entirely experiential film: the cameras never leave the valley; there are no interviews with generals or diplomats. The only goal is to make viewers feel as if they have just been through a 90-minute deployment. This is war, full stop. The conclusions are up to you. The war in Afghanistan has become highly politicized, but soldiers rarely take part in that discussion. Our intention was to capture the experience of combat, boredom and fear through the eyes of the soldiers themselves. Their lives were our lives: we did not sit down with their families, we did not interview Afghans, we did not explore geopolitical debates. Soldiers are living and fighting and dying at remote outposts in Afghanistan in conditions that few Americans back home can imagine. Their experiences are important to understand, regardless of one's political beliefs. Beliefs are a way to avoid looking at reality. This is reality. Restrepo" is a war film unlike any that you have seen before. Partly, because most war films you have seen were probably not documentaries; but mostly, because it plunges you deep into the heart of war in a way that Francis Ford Coppola, Oliver Stone or even Kathryn Bigelow have not come nearly as close to doing. Not just any war, mind you, but the war of the moment, into what is unanimously considered one of the most dangerous regions of the conflict. Beginning in June 2007, filmmakers Sebastian Junger and Tim Hetherington bunkered down with Second Platoon, making a total of ten trips to the Korengal Valley of eastern Afghanistan on assignment for Vanity Fair and ABC News. Capitalizing on the opportunity, they decided to piece together a documentary from the 150+ hours of footage that they obtained of the company. Upon satisfying their subjects that there would be no political overtones to the finished product, they were trusted enough to be exposed to the full reality of modern warfare in a way that few outside the military could ever hope to be. The results are both fascinating and unexpected. Interspersed with the in-field footage are candid interviews of the soldiers taken from their base in Italy, which reveal a depth to their personalities that strongly encourages us to identify. Who wouldn't be disgusted, for example, on hearing that one's next posting would be in an area notorious for its high casualty rate, with an infrastructure so skeletal that one would be forced to burn one's own faeces in order not to alert the enemy? On the other hand, there are moments when the soldiers discuss their targets with such an alarming lack of humanism that one is inclined to view them as little more than black-hearted killing machines; until, that is, one recognizes that it is this mind-blocking mechanism that is the very proof of their humanity. More than anything else, the film succeeds in placing us on the level of the soldiers, and as such, it falls more comfortably under the heading of "necessary viewing" than "entertainment." During their one-year deployment to the remote outpost named after a fallen member of their detachment, their struggles are as much taken up with the fight against long stretches of boredom - or winning the hearts and minds of the local villages - as they are with the detection and elimination of a largely invisible enemy. Indeed, some of the most affecting scenes involve watching the soldiers interact with the village elders, from the weekly "shura" that the captain holds to address their concerns, to the large commotion caused by the inadvertent death of a cow. None of this is to imply that there is any shortage of combat. When the bullets fly, they do so thick and fast, and many of the worst perils of battle find their way on to the camera. Bravery, in these circumstances, is pared down to its unglamorous essence, as the survival of the unit demands that the fight continue, despite the death of a comrade, or the moral scars left by the taking of innocent lives. The human dimension is never omitted from the equation - it cannot be - and the conclusions one draws as a consequence are often as devastating as they are reassuring. In the same vein as The Hurt Locker, for instance, the heat of battle is conveyed as a powerful addiction for many of the soldiers, with one of them even describing it as "crack." One can only imagine how difficult the adjustment back to normal society must be for these men, who have dedicated their lives to fighting for its protection. Ultimately, it is from this acknowledgement that a documentary like "Restrepo" draws its power. Unlike the mediated versions of war that we experience on the news or in Hollywood movies, this is war as it actually occurs: we are not permitted to flinch, or to avoid thinking about the sacrifices involved, when our leaders make the weighty decision to march our soldiers into battle. The shadow of Vietnam, and the Vietnam war movie, is never far away during this outstanding fly-on-the-wall documentary about the US military experience in Afghanistan by the British photographer Tim Hetherington and the American journalist Sebastian Junger, famed for his 1997 non-fiction bestseller The Perfect Storm. For one year, Hetherington and Junger accompanied a single platoon on a tour of duty in the dangerous Korangal valley, in which the soldiers – horribly exposed, and with a knowledge of the terrain so far inferior to the enemy's that it was practically blindfold guesswork – had to build a forward outpost to establish their position. This they name Restrepo after one of their popular comrades, Private Juan "Doc" Restrepo, killed at the campaign's outset. This defiant tribute springs from a need to impose their collective identity on this alien and menacing landscape. Restrepo Production year: 2010 Country: USA Cert (UK): 15 Runtime: 93 mins Directors: Sebastian Junger, Tim Hetherington More on this film The platoon is also required to promote an uneasy hearts-and-minds policy among notionally friendly locals. The soldiers must conduct regular, tense meetings with Afghans, lecturing them about the economic benefits they can bring with supposed transport projects, clearly suspecting every one of them of helping the Taliban, while the locals, though strategically deadpan, clearly resent the Americans. An early sequence shows US military helicopters bringing troops into Afghanistan, then switches to the soldiers' scared, vertiginous point-of-view as they gaze down into the valley in which they will be sitting ducks; it is a very "Nam" moment, and the tension is all but unbearable. You can't help but admire their bravery and that of Hetherington and Junger who have had to keep their nerve and keep filming. The nail-biting sequences are interspersed with interviews conducted after the event, which carry a concealed emotional charge. It is only from these that we can be certain which soldiers have survived. I was reminded of an essay PJ O'Rourke once wrote about visiting Russia in the 1980s, at the height of the controversy over its invasion of Afghanistan. A Russian teases O'Rourke about his country's recent history: "Vietnam – too bad!" O'Rourke replies crisply: "Land war in Asia very bad – and some countries do not learn from an example!" These soldiers' Asian land war is wearing them down quickly. 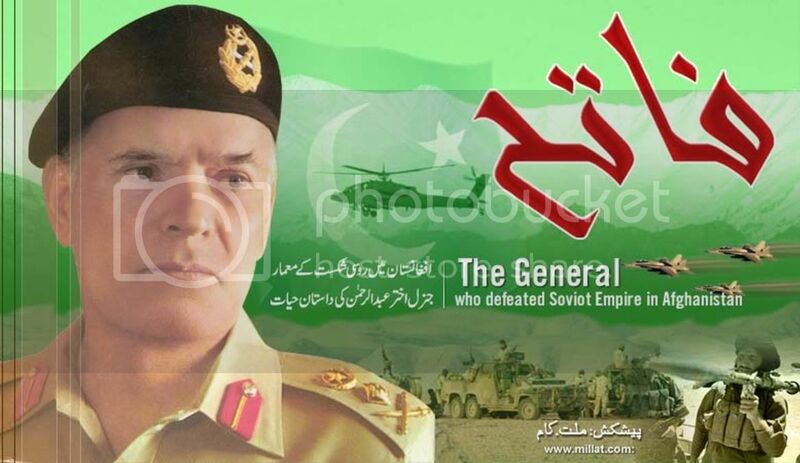 The Taliban are all around, able to get frighteningly close to the Americans' position, with impunity. Young soldiers are seeing troops being shot dead in front of their eyes. When Junger and Hetherington interview one of them about this experience, he breaks off mid-speech – and of course we, the audience, expect tears: it is a familiar moment in all types of documentary. But what is happening is more disturbing. The man has broken off in a kind of horror at remembering what he has clearly repressed until this moment. It is a flashback – that cinematic term widely applied to post-traumatic disorder. Restrepo is clearly a movie focused on the Americans' fear and suffering, rather than the Afghans', leaving the judgment up to us. It is a scary, moving and troubling film. The definition of a Sniper is: "A skilled military shooter detailed to spot and pick off enemy soldiers from a concealed place." Look at the advanced training techniques that transform these ordinary men into smart, inventive soldiers. Did you know that you are four times more likely to die from an asteroid impact in your lifetime than to be struck by lightning? Travel back in time to explore three mass extinctions that decimated life on the planet, with a look at the impacts from asteroid strikes, gamma ray explosions and massive volcanic activity. With contributions from some of the world's foremost scientists, this documentary examines the newest developments and theories and uses moving human-interest stories, personal experiences and the latest computer-generated graphics to bring a range of subjects vividly to life. Wow, great additions guys, thank you so much!!! DVD, CD, PDA, HDTV, PVR — they are the ultimate in “gotta have it” gadgets and gizmos and “to die for” technology that populate a digital world of acronyms. We trace digital technology back to the early 1940s and the first high-speed electronic computer used to calculate cannon trajectory charts for new artillery in WWII, and look at the rapidly approaching future in places such as MIT’s Media Lab, where tomorrow’s technologies are being developed today. Series in which 'Red Dwarf' star Chris Barrie takes a look at the workings of huge machines. How does a whopping 16,000 tons of steel become the ultimate stealth weapon? In the first programme of the series Chris Barrie dives the depths to discover the awesome power of the submarine and reveals how it all started with one crazy guy in a wooden barrel. Edited by Magnus, 13 December 2010 - 08:12 AM. It is 200 years before the birth of Christ and Rome is the new superpower of the ancient world. She believes she is invincible - but one man is destined to change that. He is a man bound by oath to avenge the wrongs inflicted on his home and, in pursuit of revenge, he will stop at nothing. Hannibal explores the man behind the myth, revealing what drove the 26-year-old to mastermind one of the most audacious military moves in history. With 40,000 soldiers and 37 elephants, he marched 1,500 miles to challenge his enemies on their own soil. It was an act so daring that few people believed it possible. Hannibal combines drama, the latest historical research and state-of-the-art CGI to bring this spectacular story to life.